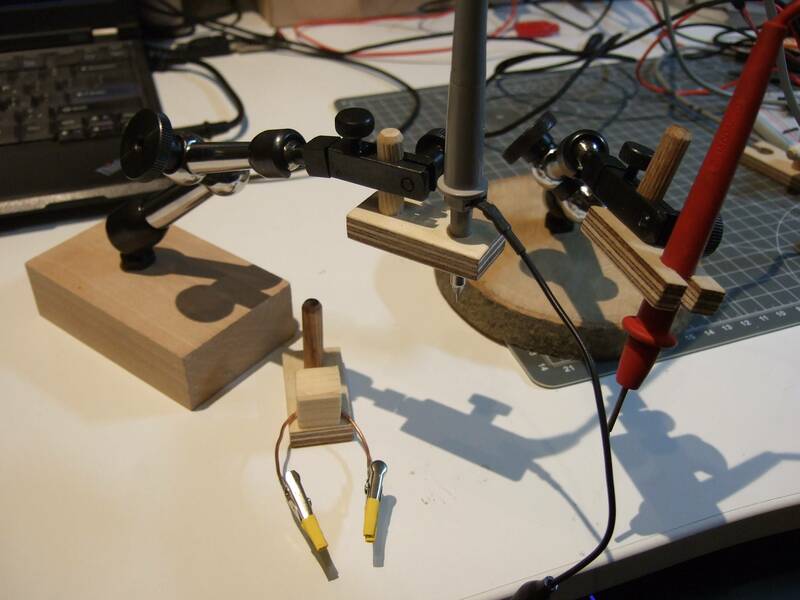 So, Hackaday, what do you use for holding things? What do you hold your PCBs with while soldering? What do you use to hold down SMD parts? What’s your third hand, or twenty-third? I love it. I am tired of waiting for the people that make the current “helping” hands to understand why their products are absolutely awful. If you want innovation in one field, look outside that field. That mold for those bases has been around since at least 1960. I had one in some educational kit then. Hemostats! Thank you for letting me not be the only one who uses those! Along with pinzettes and forceps anyone working with tiny things needs to use medical tools. If you ever said to yourself, hmm, I wish there was a small, scissor-like tool to do an extremely specific task, surgeons have you covered. All the best steel, too. Wikipedia has some fine lists of stuff. The only other thing I can think of are jeweler’s tweezers, if you really, really need finesse in picking up small things, because they have finely adjustable tension. The generic “helping” hands need to die. One of the most useless products I’ve ever used. I do like the look and functionality of those arms in the video, I might have to pick up a few just to have on hand (teehee). Kudos! Real hackers design and build their own solution. Mine is similar to the stickvise, but instead of a spring it has 2 separate pieces with magnets on the bottom. 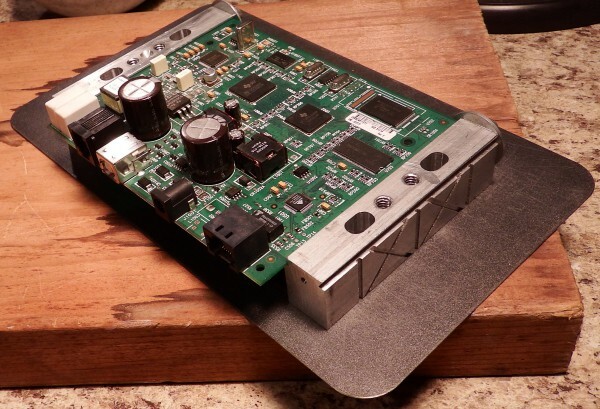 Can hold any PCB on any metallic surface, and can also be used to clamp PCBs onto a CNC bed. We use something similar where I work, in partnership with the scope probe holders that [ProtoG] uses on a large metal plate. We use small 3D printed stubs that have the magnet in to allow pinning of awkward shaped board (some designs have things on the edges which would prohibit a larger metal block). I’ve managed to do all my soldering jobs in the last 30 years with my fingers (hold one thing between thumb/index, and another between middle/ring finger), or by using junk on my desk, such as rolls of packing tape, or the spool of solder wire itself, as support. Ah, I can’t count all the times that I have used the solder spool to delicately arrange things so that they are perfectly aligned for soldering, only to discover that I need to unspool more soldering wire. Gah! +1 You are not alone. Panavise, hemostats, clothespins, and sometimes those noodley armed alligator clips. The traditional helping hands I have are gathering dust, and will continue to do so at this rate. Although at work I/we use a stainless steel version. The extra weight makes it very stable and keeps the probe nicely in place, also the angle of the probe is slightly different then the thingiverse version, but you’ll get the idea. No 3D printer required. Basically the same setup as a welders finger (known by a number of other names, most not suitable for a family publication such as this). Never though of that for a probe. I tend to use Noga type arms (the indicator arms in the vid) for a lot of things. I buy the cheaper ones meant for centering in a mill (no base, just an 8mm stub shaft) and make my own mounts or mount them on garage sale surface gauge bases. The surface gauge bases usually have fine adjust, allowing me to get away with less expensive arms. Uses, aside from holding test leads and probes, include camera mount and small work vise. It has surprised me for a while now that these ubiquitous helping hands are somehow a bit of a standard. Though not absolutely useless, they tend to damage PCB and cable alike, generally require a bit of fiddling to get right and are unstable at the worst of times. When I finally bought one of these PCB holders, things finally fell into place. Boards of almost all sizes are easily and reliably clamped in place and you get to rotate them with ease to inspect both sides of the work piece. They are sold under various names, but hardly break the bank. If I would have to pick one soldering accessory, that would probably it. Most of the time you just need a “heavy thing” to hold your stuff in place on your desk while you solder. I co-opted a 123 block from the shop for this purpose. Works great. I had loose clips on very cheap helping hands, found that they would easily solder the previously crimped attachment over a cooker gas burner. Just don’t get them too hot that the flux instantly vaporises. One thing that greatly improved my life was the use of the Ikea Rissla desk protector. Since it has a steel plate inside, you can use magnets or dial indicator holders with a magnet base to stick things to it. For probes, I have a bunch of fiberglass arrow shafts, and a piece of plywood clamped to a shelf above the bench. The shafts thread through loose holes in the ply and have a wire through the shaft to a pogo pin. The shaft weight holds them in place on a PCB and the various style pogo pins make solid electrical contact. I keep imagining a better one with connectors to easily swap out pogo types, or the proper sockets, and a BNC panel. I would use SMA but they are too slow for a fiendish trouble-shooting session. Great for logic analyzers, and also for scope probes with the right cable and termination. Find any flat chunk of steel and drill a hole and tap or just force a drywall screw into it and break the head off to hold a larger alligator clip pointing up,use goop feet or inner-tube rubber on bottom. The biggest problem with those silly things is that they are too tall for their base. I rarely need more than a single one of these. When tall you hold your hands up off the table and don’t have the steady posture of hand resting on bench to hold the other end or wire that one uses the second clip for on those silly holders. A vacu-vise is handy when doing plugs and jacks small boards and much more, not that pathetic thing they sell at horror fright fools either. You need weight not plastic but cast aluminum. A very handy thing I used for years till it got duty holding my WiFi antenna in the right direction is a baby bottle holder meant to clamp on the rim of older cribs. I don’t know if they’re available still or not. C-clamp base with ball and foot long arm with second ball and another arm original end lost four inch spring clamp on end instead. At bench’s edge it would help hold swing out detachable circuit boards of running things (VCR’s) while allowing access to both sides. Don’t do VCR’s anymore. I like my Panavice 333 after a few simple mods. I also have a set of 3 jaw ‘helping hands’ (no magnifier) that I battle with occasionally. Does anyone know how these 3D magnetic helping hands are called in German? No, but I bet it’s a word about 3 meters long with lots of z and sch in it. I use a random assemblage of clothespins/pegs, bulldog clips, spring clips, couple of hemostats, 3″ clamp on bench vise, small pairs of vice grips, pliers, slices of old inner tube, this thing I picked up that’s like a mini tabletop workmate, dunno what it was “for”, useful though. I clamp things to each other, like vicegrip in 3″ vice, hemostat held in vice grip, holding spring clamp or something like that for multi articulated holding akin to helping hands. A thought I had while reading this, was microscope stage slide clips…. think of something like a pegboard, and you had a bunch of those in 2 or 3 sizes, that would be a pretty useful set up. However, pegboard would need to be a bit thicker, maybe double stacked. They kind of wedge lock in the bore against the tension of the spring leaf…. Anyhoo, can’t right this moment think of the “easy” thing to make the spring leafs out of, it’ll come to me if I let it mull probably. Okay, so you stick dowels in all around the thing you’re holding, and then slide the sticks down them, then firm them down such that the tension binds the dowel posts in the hole and binds the stick/spring on the dowel…. this will look all crooked and annoy OCD people, so do it as often as possible around them. Tie the scope probe onto something heavy ideally with a straight edge using a rubber band. e.g,. a roll of solder in its box has the right weight and the straight edge prevents rolling. I have tried bottled water and it works too except not too stable. For those who don’t know, the cool lockable arms shown in the photo halfway down the article are known as “magic arms” in the film industry, and are dirt cheap on eBay/AliExpress. All these comments, and no links to where you can find these things. I think that http://allindustrial.com/products/measuring-inspecting/drop-test-indicators-holders-accessories/magnetic-indicator-bases/ has them, and the model he is using looks like it’s $25. However, most of those don’t have the minute adjustment knob on the end, like he shows in the video. I found a few with it, but they were way more expensive. I splurged one day and bought a Noga brand version. They are awesome; they actually work as designed (did they design them?) They have ones with fine adjust on the end and the base. However, they still require you to turn the knob to tighten, which usually moves as you do that then you need to fine adjust. I want one that that I press a button to make it go floppy, then release to lock in place; either a mechanical button or electro-mechanical. I’m building my robot arm to do this for me; my own Dummy, just like Iron Man..
Epilogue: I picked up two of these (sans magnet base) and threaded them into some heavy hardwood chunks from the basement. They are M5 nuts on the bottom, I drilled wood at 4 mm and let the bolts do the tapping. Unlike the OP, neither my scope nor multimeter probes fit, so I made some quick plywood adapters. The 8mm clamp mounts are a good match for 8 mm dowels. Fluke probes are nearly exactly 10 mm at the widest point, and my scope probe was 1/4″, so drilled out to 6.5 mm is a snug fit. I also soldered a couple alligator clips with smushed and filed snouts onto some copper wire. All in all, a useful addition. We’ll see how they stand the test of time. I may add cork to the bottoms, or maybe drill and epoxy heavy magnets. We’ll see. So far, they’re just fine with the plain wooden bases. Cool! I use rubber boots that are usually used for cable strain reliefs that allow me to use a variety of different sized scope and multimeter probes in the shaft clamp.